Social Justice needs a Soul, Testify Miss Amali Ward! The definition of Soul music according to the Rock n Roll Hall of Fame is “music that arose out of the black experience in America through the transmutation of gospel and rhythm & blues into a form of funky, secular testifying.” In practice soul music took the experience of the disenfranchised and delivered both a lyrical and musical smack up side the head for all in society! In the same way social justice advocates attempt to deliver a message, action and change that seeks to stamp out inequality and level the playing field, every now and then a figurative smack upside the head is required for those who just don’t get it, particularly the ignorant and powerful! Music and social justice have always been intrinsically linked, feeding off one another to create the sound track and inspiration of both change and upheaval. In a world filled with Biebers and Britneys acting as the opiate to a generation who have plenty to change you have to dig a little deeper to get to the soul. Enter Tasmania’s Amali Ward and her latest Single “Knock You Out” that figurative smack upside the head with the soul of a sister testifying! Most people will recognise Amali as the young 16 year old finalist with a voice beyond her years from season two of Australian Idol way back in 2004. Even at that young age it was obvious Amali had a passion for soul music choosing to sing the works of Stevie Wonder and Joss Stone instead of the more typical pop hits of the day. And 9 years on her commitment to the genre and her courage to stay true to her passion remains true. With a strong & versatile voice, bubbly personality and stunning looks a big dollar contract would not be out of the question if she decided to go with a pop sound. But as Amali told 1DEADLYNation she has more to sing about than just filling an album full of soft love songs. “I guess I want my music to show people my personality and not just be about falling in love”. So with powerful lyrics to write, Amali stayed true to her soulful roots and progressive upbringing to deliver a song so good it won the International John Lennon Song Writing Contest, an annual competition open to songwriters from around the world and presented by Yoko Ono herself. “Knock You Out is about people who make offhand, divisive comments about sexuality, religion or race without thinking of the consequences. Thankfully we are progressing to a place where these attitudes aren’t accepted anymore, but we still aren’t treating all members of society equally”, said Amali of the timely subject matter of her single. “Winning the John Lennon Song Writing Contest award was definitely one of my proudest moments”. And as the above video shows accompanied by a full band that would make James Brown proud the music is given a richness it so truly deserves. Before winning the International John Lennon Song Writing Contest, Amali honed her song writing skills in America working with the teams behind Alicia Keys, Kanye West, Rihanna and Beyonce. Amali then came home to write her debut album in Australia before returning to LA to collaborate with producer David Ryan Harris (John Mayer, Lupe Fiasco, India.Arie) and John Mayer’s touring band for Back In Time, set for release later this year. “I was lucky enough to have most of John Mayer’s touring band play on the entire album, these guys are incredible musicians who have played for pretty much every big name artist you can think of! So it was just insane to have them all jamming in a room in LA to songs I had written back home”, said Amali. For your taste of soul head to iTunes and grab Amali’s latest hit “Knock You Out” and experience her talents live starting tomorrow night in Melbourne. Knock You Out available now on iTunes. Here, Hauie catches up with Australia’s biggest hip hop outfit, HILLTOP HOODS. They are about to release their sixth studio album, ‘Drinking From the Sun’ on March 9. HAUIE TV is an on-line show that celebrates and focusses on the hip hop culture in Australia and overseas through interviews, behind-the-scenes footage and rhymes. Hosted by Hau – an MC, a radio presenter, a husband, a father, and a lover of all things beats, rhymes and life. ‘Follow The Sun’ is the first offering from Xavier Rudd since his 2010 release ‘Koonyum Sun’. The clip was filmed on location at Stradbroke Island, Queensland Australia. Full respect to the country & community of Minjerribah, North Stradbroke Island. Special thanks to the Yulu Burri Ba Dancers and everyone involved! An on-line show that celebrates and focusses on the hip hop culture in Australia and overseas through interviews, behind-the-scenes footage and rhymes. Hosted by Hau – an MC, a radio presenter, a husband, a father, and a lover of all things beats, rhymes and life. This is the jump off. First episode dropping in March! You can get a signed copy of the new TLK album by pre ordering the album at the below link. 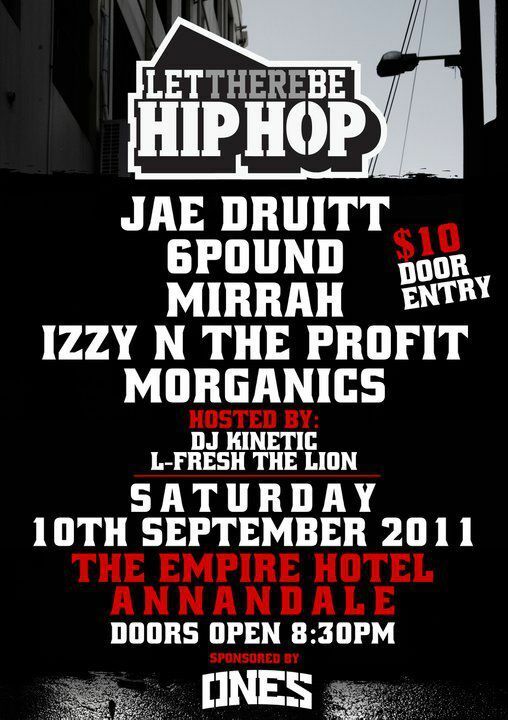 Support local DEADLY talent! Where is the music of the Afghan war? The Vietnam war killed millions of people and tore apart a country and changed the political landscape of its era. It also was front and centre of the counter-culture and music in particular played a large role in the anti-war movement. The songs, the albums, the artists didn’t just produce the music. The people consumed it and it was and still is immensely popular today. So where is the music of the Afghan war? If we can’t even write the songs, is it any wonder the War still continues! It’s an open question, please feel free to post the songs you feel fit the bill in the comments section. When will YOU Rage Against the Machine? Why are the young people of the Western world seemingly so apathetic to the issues of our world and why aren’t we marching in the streets? The answer my friend’s is not blowing in the wind, but it is in the music! As Generation X and Y we often look back at our baby boomer generation and scoff, if only they had of known what we know. “Oh mum, if only you knew what I know about the Afghanistan you would think very differently!” We whatever we think of our parents views, we cannot deny that in their day they fought for them much more than we do. Martin Luther King and Malcolm X, Maya Angelou, Gandhi, Mandela, Charles Perkins, Mother Teresa and Che. In the music of Dylan and James Brown, with John Lennon and Yoko in bed to the truth of Bob Marley and Sam Cook you simply could not escape the progressive movement in art and activism. And while it is not dead and there certainly are those working for change, you couldn’t get a million man march today unless you count people gathering on facebook or twitter as statistics. Are we the post 9/11 generation, in fear of being unpatriotic even where we believe change is required? 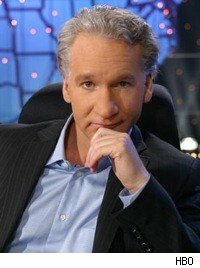 Bill Maher – Kidiots’ Leave the children behind. At least until they learn something. A new study has shown that half of American high schools agree that newspapers should only be able to publish government-approved material. Almost one out of five said people should not be allowed to voice unpopular opinions..This is the first generation after September 11th, who discovered news during a ‘watch what you say’ administration…George W. Bush once asked, ‘is our children learning.’ No, they isn’t. A better question would be, ‘is our teacher’s teaching? I’m not going to take the easy route and bag Justin Bieber, he is a product of an industry that is about making money not interested in the art. I’m not going to take a shot at aspiring song writers and performers who feel they have to shape themselves in this way to get success and be heard. But this is largely a result of music that offends nobody and inspires just as few. It doesn’t say anything about us other than we will except whatever is fed to us. The responsibility lies with the two groups that really drive this. The music industry and head honcho’s of music studios who have long since sold out and are more Wall Street than MoTown. And as consumers we have to take a great deal of responsibility too. Bad music might be shoved down our throat at every turn, hollow lyrics are on every radio station, but we consume them. We have made the decision, perhaps a subconcious one, to tune out of the truth and only take in the bubble gum pop. Make no mistake, real artists are out there. They are writing and performing, recording and inspiring. But they wont get the air play they deserve until we demand it, until we buy it and until we begin to show an appetite for music with meaning over songs only played to sell stocks! Take a bunch of kids and give them an opportunity and this music video shows what happens. The Bega Women’s Refuge got some funding from the Australian Government to bring in musicians Andrea Kirwin and Damon Davies to help a group of local youth create music. The result was a band called Critical Infinity and this original song ‘Courage Under Fire’. Andrea Kirwin said that the children all had natural ability and just needed mentoring. Dave Hibbert provided his recording studio, and ABC South East NSW came aboard to film and edit the video. The project has been so successful that its now being extended. Courage Under Fire – Critical Infinity – ABC South East NSW – Australian Broadcasting Corporation. Click for video!